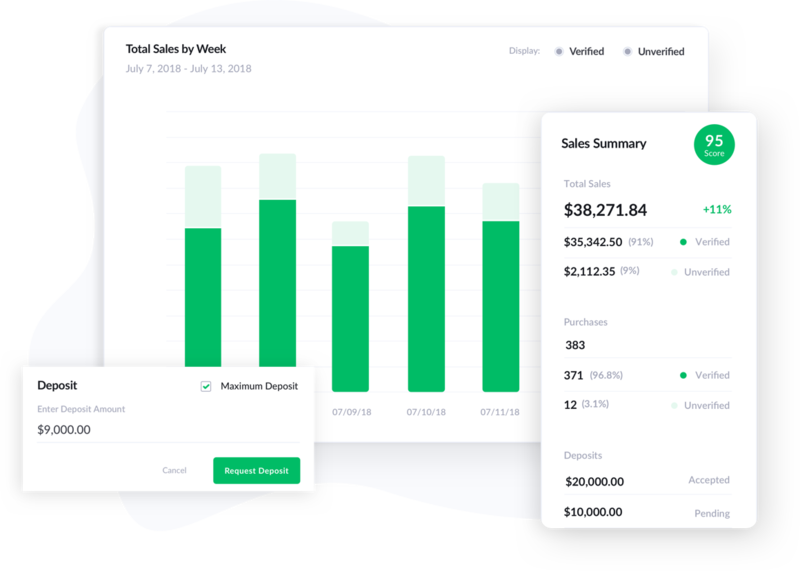 Green Check is a compliance platform that makes it easy for cannabis businesses to monitor and share their compliance history, so that they can foster stable, productive banking partnerships. Green Check combines a powerful Compliance Rules Engine with an intuitive interface, making it easy to manage an effective regulatory program. Green Check brings cannabis businesses and their local financial institutions together to start a partnership that drives business forward. Our automated Compliance Rules Engine reduces the workload for dispensaries and financial institutions. Transaction-level detail helps businesses make management decisions and gives their banking partners real-time insight into their compliance outcomes. 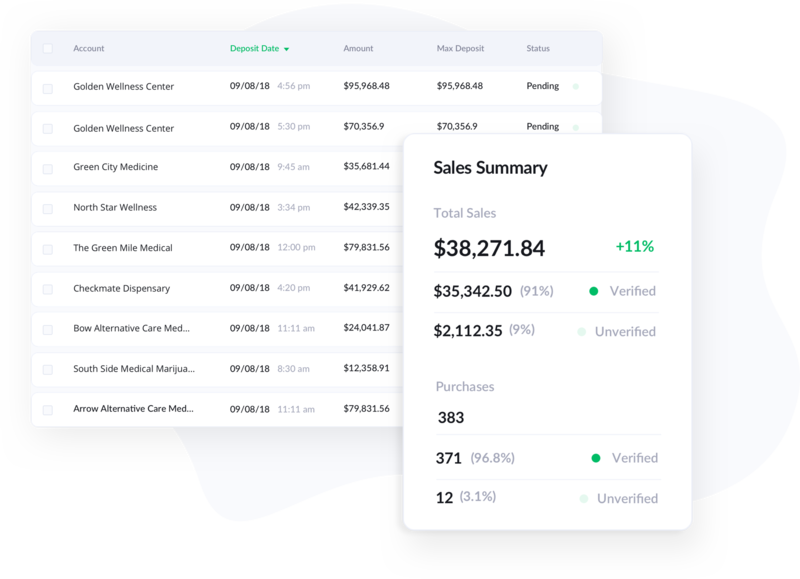 Green Check empowers cannabis entrepreneurs to keep up with changing regulations and verify every sales transaction. 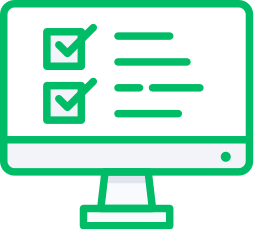 With automated compliance tools and helpful guides, Green Check lets you focus on running and growing your business. 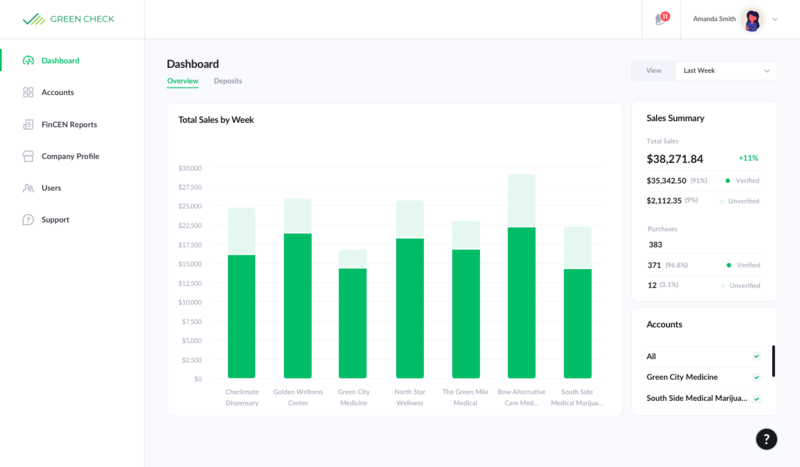 Green Check gives financial institutions detailed insight into their cannabis business accounts, helping you make informed decisions and mitigate risk as you begin working with this rapidly growing industry.